Shaked & Co. Law Offices is a global technology law firm, serving clients worldwide with a broad range of integrated services. Our practice areas include corporate, commercial, intellectual property, employment law and transactions. Shaked & Co. Law Offices provides personalized services in the areas of corporate, commercial, intellectual property, licensing and eCommerce law. Shaked & Co. Law Offices provides big firm experience with personal attention. While many law firms feel compelled to constantly open offices around the world, Shaked & Co. is able to cover the globe effectively from one. Lillian Shaked is Founding Partner of Shaked & Co., an international boutique law firm based in the global technology hub of Tel Aviv and advising tech clients worldwide. 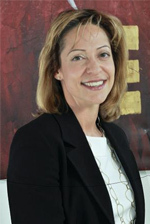 Lillian works with businesses in all stages of development in Israel, the US and Europe.